Sense About Science USA, which promotes a better understanding of scientific evidence, is presenting the event from September 22-23. The James M. Cox Jr. Institute for Journalism Innovation, Management and Leadership at Grady is hosting the program, which has sessions scheduled to coincide with Grady classes. The two-day event will focus on using data and statistics in sports, health and medical journalism, and will also include basic and intermediate statistics trainings for all journalists. 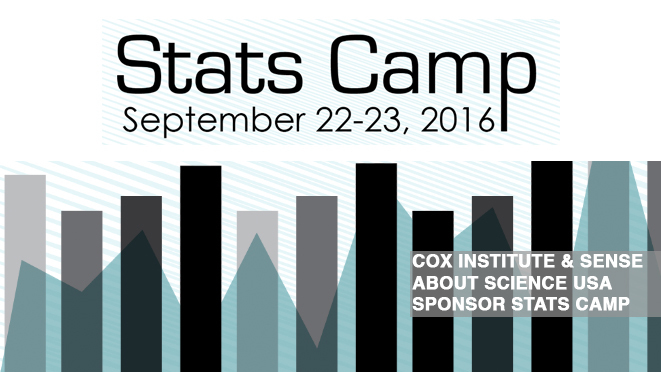 The Stats Camp schedule can be found on the Cox Institute website. Stats Camp sessions will be led by Butterworth and Heather Dahl, Sense About Science USA’s chairwoman; Welch Suggs, a Grady professor; Rebecca Goldin and Patrick McKnight, two George Mason University professors; Jacob Pomrenke, editorial director at the Society for American Baseball Research and Dash Davidson, a sports data analyst with Tableau. Additionally, Davidson will host a training session on Tableau Public, the company’s free version of its data visualization software. Those interested in attending this breakout session should email klhern@uga.edu to register. Stats Camp attendees will be encouraged to share their experiences from the sessions using the hashtag #GradyStatsCamp.